The MEIKO TopLine 20 individual appliance is fast and space saving. It is the ideal hygienic solution for sluice rooms and bath-rooms attached to a private room. This compact bedpan washer is easy to use just place in position and connect. It is the rapid way of utilizing existing connections. 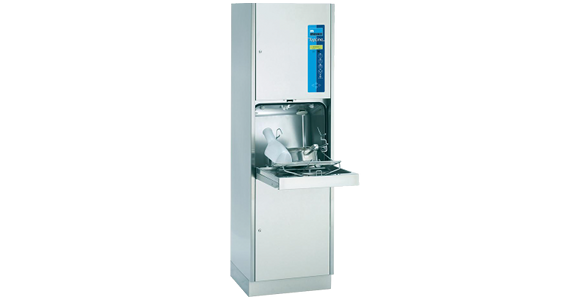 The MEIKO TopLine 20 has ideal dimensions and its convenient work height increase hygiene security. You can use the widest possible range of utensils encountered across the world. The TopCut B accessory for TopLIne Bedpan Washer is the first and only device for hygienic cutting and emptying of bags filled with urine or thin secretions.